NEW YORK AND TORONTO: THE MACMILLAN Co.
[ii]The one greatest joy this world can give, is to win a soul to God. What a blessed thing active prayer isI mean by active prayer doing everything in God's Presence and for His Servicedoing all things to and for God in a recollected spirit. It is now sixty-three years since Archbishop Tait, then Bishop of London, took the important step of setting apart Elizabeth Ferard as the first Deaconess of the Church of England. The movement thus formally initiated met with much criticism and many discouragements. But it has long justified itself, and it needs no defenders to-day. In the past Dean Howson and Bishop Lightfoot championed it on the historical side, while Bishop Harold Browne and Bishop Thorold were its active promoters in the sphere of parochial life. When our present Archbishop succeeded Bishop Thorold at Rochester he strengthened and upheld the good work which his predecessor had there begun, and ever since the movement has owed much of its success to his wise counsel and encouragement. A few words which he spoke at the Memorial Service as to the character and work of Deaconess Gilmore, and which are with his permission reproduced below, will sufficiently show the keenness of his interest and his hopefulness in regard to the future of the work. At one time there was some fear lest the revival of a true Diaconate for women would be hampered by a confusion with the parallel movement of organised sisterhoods, the members of which were also engaged in the activities of parish life. It was indeed natural that some women should wish to combine the function of a parish deaconess with the strength and sympathy [iii-iv] provided by the life of a community. On the other hand, it was most important to assert the normal independence of the deaconess who was bound only to obedience to her Bishop and to the parish priest under whose directions she ministered. It was in the assertion of this independence, and in the manifestation of its practical possibility and peculiar fruitfulness, that the work initiated by Bishop Thorold in the Rochester diocese was pre-eminently opportune. He was happy in discovering and calling to his aid one whose powers, mental and physical, had been tested and developed by the strenuous life of a nurse in one of the great London hospitals, a woman of high intellect and strong will, with the rare gifts of sympathy with the souls of the very poor, and of courage to face the misery into which their misfortune or their faults had depressed them. How he insisted on her undertaking a task for which she felt no special fitness, and how his patience was at last rewarded by her recognition that the call was indeed a call from God, is picturesquely told in her own words, in a narrative which she drew up for the benefit of those whom she herself had trained, and which she never imagined would be more than a private record for their eyes alone. Its simplicity and spontaneity give it a value which a more formal account could not have, and it has been wisely decided that the main part of it should here be published. It is a revealing document which will delight all who knew the writer personally, and specially those who had the privilege of working with her or under her; and it may prove to be an inspiration to some who have similar gifts and aptitudes and have not yet heard a call to take up a like work of ministry. Churchmen and Churchwomen the work of a Deaconess in the Church of God. ISABELLA, third daughter and eighth child of William and Emma Morris, was born on July 17, 1842. The Morrises were a family of Welsh descent. Her grandfather, who settled in business at Worcester, is described as "a man excellent in every relation of life and very religious." His second son, William, was entered as a clerk in a firm of discount brokers, of Lombard Street, and on becoming a partner married Emma Shelton. The Sheltons belonged to Worcester-shire, the earliest of them on record being a mercer of Birmingham in Henry VII. 's reign. After a few years in the city, William Morris and his wife took a house at Walthamstow overlooking the Lea Valley, and here in 1834 was born their son William, who was afterwards well known as poet, artist, and socialist. Six years later they moved to Woodford Hall, which then stood in about fifty acres of park, on the edge of Epping Forest. Here Isabella was born and spent a happy, healthy childhood. Though their father was a wealthy man, the children were most simply brought up, especially in the matter of food, which was the plainest that could be had. Clothes were sometimes handed down from one child to another, and once Isabella was very indignant because she had to wear a tartan dress that one of her brothers had worn [1/2] and that had to be altered. They led a free life, and riding was their great delight. They were brought up in an Evangelical atmosphere. The home was an ideal one for children with healthy outdoor tastes, and Isabella fully shared in the activities it offered. She was called by her brothers Issy; she was always ready to run their messages and help to set the night lines; she would get up between four and five o'clock and creep downstairs barefooted so as not to wake the old nurse, carrying her shoes over her arms, and then walk through the heavy dew and eventually return wet and ready for breakfast. They loved her, as she was always willing to help them with their pranks. When she was only five, her father died, and in the following year William was sent to Marlborough College. Her mother then moved to Water House, Walthamstow, and eight years later to Leyton, to "a fine roomy old house with a garden sloping to a wilderness." Isabella was at school at Brighton and Clifton, and was grieved to have to leave school at seventeen. She was handsome and full of vitality, though at one time rather delicate. Fond of dancing and hunting, she thoroughly enjoyed life. At eighteen she married Lieutenant Arthur Hamilton Gilmore, R.N., and afterwards lived much with his parents at Ramsgate. He was the first to start a canteen for the men in the Navy, and in this she gave him valuable assistance. When they were living at Notting Hill she reorganised a Dorcas Meeting for the Lock Hospital. She was at the beck and call of all the family, specially in times of trouble. A glimpse of her at Weybridge shows that her sympathy was stretching out beyond her immediate circle. One who was afterwards trained as a deaconess says: "About the year 1877, when we were young and living at Weybridge, Captain and Mrs. Gilmore were our near neighbours, their garden adjoining our orchard. The village was in an uproar because Mrs. Gilmore was befriending a gipsy girl, whom she discovered on [2/3] the eve of her confinement in great distress. She tended and cared for both mother and child till they could travel on, and she had the baby baptised. The villagers were indignant; they said she was encouraging thieves, that eggs, poultry, etc., had been pilfered, and now things would be ten times worse. Even her own people doubted her wisdom, and prevented her from going to the camp one evening, as they heard the men were all intoxicated. The next night when she went, they asked why she had not been the previous night, and when she gave her reason, all they said was, 'Lor, Missus, we wouldn't have hurt you.' Contrary to expectations, the gipsies behaved gratefully. The blankets and other things were all returned and thefts did not increase." In 1882 Captain Gilmore died at Lyme Regis. She then went to live with her mother and elder sister at Much Hadham, and a few years later entered Guy's Hospital as a lady pupil. This brief preliminary sketch will suffice to prepare us for the great change which was soon to pass over Mrs. Gilmore's life, and to introduce us to the simple but arresting narrative in which she has recorded how it came to pass. The document from which extracts are here given was written to preserve, for the members of the family over which she had presided, the fleeting memories of its earliest days, and more especially the story of the way in which God's providence had called her to the special task which she fulfilled for so many happy years. It was in the summer of 1886 that I first heard of the Rochester Deaconess Institution. I was then the Sister of a very large Medical Ward in Guy's Hospital, where I was extremely happy. My life was very full, and when one Sunday afternoon a certain little grey book was put into my hands and I was told to read it by our beloved Matron, Miss Victoria Jones, I must confess to a feeling of having no time. However, I was not to be let off, and on the following Sunday I was talked to again about it, and it was suggested to me that I was the woman to start the work outlined by the Bishop in the little grey book. I was to hear more of it from our treasurer, Mr. Edward Lushington. He asked me to think it over and allow him to write to the Bishop. It is more than twenty years ago since I received a note from Bishop Thorold asking me to come and see him; and yet how vividly I bring to mind that time, that call! It was on a hot August day in 1886 that I left my busy ward to go to Selsdon for the Bishop to interview me. I enjoyed my run into the fair Surrey country and the lovely drive from Croydon, and arrived late on a Saturday afternoon at Selsdon Park, the beautiful house where the Bishop then lived. I felt so refreshed and rested that I thought no one would find out how tired I was; but one look at me revealed this to my kind host, and with "How tired you are! Come into [4/5] the garden," he passed out of the library window on to the lawn where I had tea, and where for a quiet half-hour his one idea seemed to be how to make a weary woman feel at rest. What a strange little figure it was, delicate looking, plain; but now and again you got a smile that made you forget everything else, and there was also a quaint humour about the mouth. Just before we were going in to dress for dinner, he spoke a few words of what I knew was very close to his heart, and was sorely troubling mine, namely, his great desire to find a Head Deaconess for the diocese. Sunday morning came fresh and beautiful. We walked to Sanderstead Church together. In the afternoon the Bishop had a long talk with me: then he took me into the chapel and prayed with me. I told him that I did not feel fit for the work, that I wanted no public work of any kind. He asked me what I was going to do. I said, "When the hospital has finished with me, I shall have my own home and work amongst the poor." "Then why can't you do for us what you are going to do for yourself?" There was no answer; I had none. I only asked him to leave me alone until late in the autumn, when my engagement to Guy's would be ended. I told him that as long as I was at Guy's I had no time to think of anything but my duties and my patients. I was sent back in every comfort with a huge bouquet (rather like a cart-wheel). Loving welcomes met me as I walked up to my room, and then I was too busy to think of anything but my work for several months. The Bishop was not going to leave me alone. I had letters and then a request for an interview in Lorrimore Square. I had then a desperate case in the ward which I had not left for many days. The Matron felt that I must go, and it was arranged that a young doctor should come and sit in my room during my absence. So off I went, but I felt the Bishop must be made to understand how responsible the work was from which he called me; how life and death were in my hands all [5/6] day, and that I dare not allow my mind to be occupied with other considerations. I said, "I am leaving Guy's in October; will you leave me alone till then?" He was not angry with me, and I think he liked my straight words; and so we parted, and I heard nothing more from him till I was free. After a little rest, I visited several Deaconess Houses, but the work did not commend itself to me in any way, and I felt it would be impossible to do it satisfactorily. Besides this, during the past year my brother's children had come upon my hands. I felt I must be free to have them in their holidays. I wrote to the Bishop telling him everything, and refused to accept his offer. I don't know which was the worst, the writing of the letter or the feeling that it was gone. My heart yearned over the multitudes. I went off with seven of the children for holidays, and some weeks later heard again from Bishop Thorold. He helped me to reconsider the question, asked me solemnly in God's Name to think of it again. I wrote and told him that I would do so for a week. No light had come when the week was finished. It was a Saturday, and I put off writing till the Sunday evening, hoping that God would say "Yes" or "No" to my prayers for guidance. I went to early service alone, and to the eleven o'clock service with the children. The preacher was a stranger. He gave out his text, "Go work for Me to-day in My vineyard." To me it was a trumpet call. I never heard any of the sermon. I could hardly keep off my knees until it was finished. It was just as if God's voice had called me, and the intense rest and joy were beyond all words: the village church, the big square pew, the children, the service going on, all were like a dream--that call was the only thing. That evening I wrote to the Bishop, "I humbly accept your offer," not one word more. I had a brief note from him: "Your letter has made me very happy. Only this morning I asked God in prayer that His will might be done and that I might accept it when made plain." Later he wrote: "I have appointed a meeting of the Council and you must be there," giving me the date, which was some little time off. I saw the children off to school and went up to London. I was staying with my dear friends; at lunch-time I told them they might never see me again in smart clothes. Afterwards I dressed in my Guy's sister's uniform and went to meet the Council for the first time. I was shown into the Bishop's room, where he was alone. He was very kind and good to me, and left me there, coming back himself to take me into the Council. He introduced me to them, and they asked me questions. I told them I knew nothing about parish work, but that I was a good nurse and I loved the poor and was ready to do what they wished me to do for them. No questions were asked as to training [7/8] other women, and everything was vague and misty in their minds and mine; but the Rochester Deaconess Institution began that day. The Bishop fixed a time for me to go to Selsdon, where he would tell me all he wished. I went and ordered a perfectly plain black merino dress, which I wore until my ordination; for I felt then I was no longer free, and that "Thy vows are upon me, O my God;" and I went back to my friends, who sadly accepted me in my hospital sister's dress at dinner. Women to-day will hardly realise what it meant then for a woman to do work such as that which I proposed to undertake. I had many troublous times to go through; many hard, unkind things were said, but it had been so before when I went to Guy's, and except for my mother's disapproval I did not trouble very much. As long as she lived I had never felt myself entirely given to my work, only lent to it. She lived for nine years after I became Head Deaconess, and I always went to her when it was possible for a little visit, and did my best to make her feel that I was a loving and dutiful daughter. She became more reconciled, and before she died she prayed that "God would give me many years at my beautiful work." During the winter of 1886--1887 I was a great deal at Selsdon Park. The Bishop used to send me to visit various Deaconess Houses, and on my return he would talk things over with me. How helpless I felt about everything. The spring came, and we began to look for a suitable house. It was a difficult matter. There was very little money, and I don't think the clergy wanted work of this kind. The Bishop thought Bermondsey would be suitable, and I went to look at a house there which had been part of the old workhouse and was about to be taken down. It was obviously not the place, but my heart so went out to the sordid streets around it that I saw no difficulties. The Council met, and places were talked over. They voted dead against the Bermondsey idea, and indeed, they were [8/9] right. I saw it later; but Bishop Thorold and I consoled each other, and we always talked of it afterwards as our "Bermondsey dream." There was a certain house in Clapham, which belonged to Archdeacon Burney, and this he offered to the Council at a very low rental. It was accepted, and our first Warden, the Rev. John Toone, Vicar of St. John's with St. Paul's, Battersea, agreed to our working in his parish. This was a good forty minutes' walk even for young, active women. There was nothing to help us but a tram-line along the Wandsworth Road, which saved our legs but not our time, for it was very slow. When I think of that long walk backwards and forwards, day by day, I wonder how we did it, but I don't think it did any real harm, and it cleared the house of all but women whose hearts were in the Master's service. It was a good, comfortable house (6, Park Hill, Clapham). The Council told me only to furnish for four women besides myself. It was settled that it should be ready the week after Easter, and the Bishop said that he would ordain me on April 16 in our chapel. I told him the Council need not think of the chapel and my two rooms, as I would settle everything for that part of the house, if he would give me leave and tell me if there was anything we must not have. He said that there must be no cross on the Holy Table, but there might be a cross on the hangings above the Altar. I asked my brother, William Morris, to come and tell me how I might make the chapel beautiful; he was in one of his happy tempers, liking the old house on the Common, and telling me it was a nice place to live in, and saying we might make a lot out of the rooms we were considering. So he took the order off, and said his people would come and do it all and give me no trouble. The rest of the house the Council had to make good as to clean paper and paint, but the passages and staircase were left with a horrible green malachite paper [9/10] which Bishop Thorold said was "good discipline for me." I got an estimate from Tarns for our simple furniture and sent it to the Treasurer, General Geary. He told me I must knock off something, so I knocked off thirty-two pounds for staining floors and some small matters. That was passed, and I gave the order, and arranged that everything was to be ready and the people out of the house by Easter Tuesday. I then went off, I think, to Lyme Regis, and returned in Holy Week. I did my best to hurry the workmen. The chapel and my rooms had been finished for more than a week, but the rest of the house was not nearly done. On Good Friday, after Matins at Clapham Parish Church, I shut myself alone in the house, and then I stained all the floors with permanganate of potash. It was a glorious hot day, and by the time I had finished upstairs the downstair rooms were ready for the oil. I did them all, and left them ready for my next morning's work. I went on until late on Easter Eve, and then went off to dear mother at Hadham. It was a calm and beautiful Easter. I felt quite happy, nothing troubled me. On Easter Tuesday I got back to the house: the two servants I had engaged came long before any furniture. It was a scrimmage to get ready by the Saturday, but by working hard we did it. One of my mother's dear old servants brought boxes of things for the tea, and my sister, Mrs. Oldham, came ready for the service. On April 16, 1887, 1 woke to find what a great day it was for me. Canon Stewart arrived soon after lunch, and said he had invited thirty more people than the chapel would seat. I left him, and vanished to my bedroom and shut myself in. I saw the Bishop drive up. The one thing I felt it hard to part with was my rings. I never wore them in the hospital, of course, but then I knew I could put them on again. Now it was giving them up for ever. One moment and I threw them into a drawer in my writing table: then think of God's love--I never remembered them for a week, and then all the pain was gone. They are on the stem of the [10/11] chalice now. It was not vanity, but that they meant so much to me; some were loving gifts from those who had since gone to their rest. I went down to the hall and followed the clergy and the Bishop into the chapel, so full and so stuffy, but I was peaceful and happy. The Warden presented me to the Bishop. His address was full of hope and good advice. One bit I remember so well, that "women would not come to me as angels." How often in after years have I thought of those words! He had great hope for it all and for me, and as I look back, I think God answered his many prayers for our Institution and myself. Now after twenty-three years it is beautiful to think of that daythe strange awful peace which settled on my heart and made me feel strong and brave. The people around me seemed like a dream. I felt far away from them all. The clergy passed out, and presently the Bishop sent the Warden for me, and as he stood in the midst of the little crowd of clergy, he held out his hand and said, "You are one of us now." All those dear people were strangers to me then, but how kind they were! One lady kissed me and said, "It is like a wedding with no husband." Another put thirty pounds in my hand and said, "When you want more money we will find it." Soon they were all gone, and Bishop Thorold and I were alone in my sitting-room. He was very kind, and said everything had gone off beautifully and that he loved my room. "It rests me so," he said. I told him I had overheard a clergyman say, "It did not look like work," which made me feel I had made myself too much at home. "You cannot do that," was his reply. These verses by George Macdonald were on the fly-leaf of her Bible. I said, "Let me walk in the fields." He said, "Nay, walk in the town." I said, "There are no flowers there." He said, "No flowers, but a crown,"
There is nothing but noise and din." "There is more," He said, "there is sin,"
And fogs are veiling the sun." And friends will miss me, they say." If I am to miss you or they." He said, "Is it hard to decide? To have followed the steps of your Guide." AFTER my ordination Mrs. Oldham stayed with me for a few days, and at the end of the following week my first two visitors came. One, Alice Snow, remained and became a deaconess, the other left at the end of four months. It never entered my head that it would be difficult to get women, but it proved to be so. Alice Snow and I sat for many months opposite each other at table and worked away in the Battersea parishes. Canon Erskine Clarke, Vicar of St. Mary's, did a great work for the Church as a whole and for Battersea in particular, but he did not at first welcome the idea of deaconesses. Later on I found out, though no one told me at the time, why I was looked upon with dread and aversion. There had been some good women, for they were good, who had done their work as individuals and had not consulted the clergy. I am writing this down to show how easily people with the best intentions may do real harm. They had in no sense felt themselves servants of the clergy and the Church, but it was "Our work"; and if ever individuals or communities get that idea into their heads the work of God must suffer loss. The parish church of St. Mary's had been a fashionable church in the eighteenth century. One old woman could remember lots of carriages there on Sunday morning, and nearly all with powdered servants on them. When I came, Battersea marshes had been built over or turned into Battersea Park. Canon Erskine Clarke [13/14] was splendid over church building and schools, and above all he loved the children. I used to take my rough school to church. He held the children like magic; he taught them one thing and one only, and took his illustrations from the streets, and they understood all he said. During that year, and indeed for many more, I was practically a parish deaconess, giving my time to each parish as I could, and taking my woman or women with me sometimes when I visited. God showed me my way, and the way was full of love, and beauty, and peace, with heaps of mistakes on my side and difficulties to face, but the clergy gradually began to be anxious for women, and the only difficulty was they came so slowly and there were so few to send out. The people soon became very dear to me, and it was agony to find how terrible was their condition. They were heathen, and in the low parts the Education Act was in a great measure a dead letter, the sanitary laws were ineffective, the overcrowding ghastly, and the dirt and poverty beyond description. Saturday afternoon and night, Sunday and Monday were awful days, street fights and rows going on in every direction. On Tuesday the money was short, and remained so until the horror began again on Saturday, and so the weeks went on. Soon I began to be known, feared, and loved in the bad streets: the respectable ones were far harder to get into. To say that I was fearless seems to be ridiculous, because there was never anything to fear. Once I was struck by a drunken woman, and I used to get occasional abuse when the poor things were half drunk. I can remember one such scene. A drunken Irish woman was abusing me for giving her nothing. I listened in silence, and an old woman who was knitting at her door listened also; when poor drunken Mary had gone into The Gladstone again, she said to me, "Well, I never." I said, "She is rude, but she does not know what she is doing," upon which the old woman said, "Why do you come, and what do you do?" [14/15] I told her I came to help them body and soul if I could, and that God had sent me. "Then come in and see my old man, he is ill." I found a dear old man dying of cancer of the liver. We then became great friends. They were old Nonconformists who had lived up to their lights. There was no poverty and no question of their wanting any help. I used to read to the old man and talked to him till he died. The last time I saw him alive, the old woman said, "He is tiresome, and I have told him he's dying, and it ain't pleasant." Years after, the old woman sent for us thinking she was dying, and said, "There, I wanted to thank you, but I shall see you in heaven all in a row; I've sent for the doctor, for this 'ere dying wants stificates and things." Poor old dear, it was many a long year after that she passed to her rest. While I am talking of this family, it is pleasant to tell of the son-in-law who lived happy and respected upon the earnings of his cart, fearing God and doing service for man as he could. He spoke little, but one day he said, "Deaconess, I want to say something to you." "Yes," I said; "I hope you don't want to quarrel with me." "No, I have wanted to say it for a long time, I think God has given you such a beautiful work." Our hands met in a strong clasp. "Oh, hasn't He?" "Yes, it's the love, and the kindness, and the courtesy." In the second year I got some good women who remained and went through their rather hard training, for it was hard. I must tell of our little haven of rest in the districts. Common sense said that if we were to work all that distance from our home, some house must be provided where we could have lunch and rest. So first I took one room, and we had our lunch of sandwiches and milk there, then I found we must have a second, in which to store what we used for our sick and the old clothes for destitute cases. As our numbers grew, it seemed wise to take a whole house in Maysoule Road, a house of many happy memories. Oh! The [15/16] joy of it all. I shall never forget Easter Eve, 1889. Tarn's men left me and one dear woman, and we got ready for our Easter morning. We were to get there before five o'clock, light a fire, and put everything ready for breakfast for us all. I can't quite remember how many, but enough to make one feel how lovely it all was. We were joyously happy when we started before dawn on Easter morning singing hymns as we crossed the Common. We left our food and lighted our fire in the new house, and then went to call for those who had promised to come with us to 5.30 Communion. Our Vicar had it at that time in order to suit some railway men and Infirmary nurses. I think there were over forty present. As each Easter came round more were found who loved to join us. Some came who were too poor to come at any other time. For example, one woman came in her husband's boots, while he was in bed, as she had none of her own. I was aghast at the number of unbaptised children I came across. The only day fixed for baptisms was Sunday and perhaps a Saint's day. Soon I found that the very poor could not come to church at those times; clothes were a great difficulty, they had none fit for Sunday. Many women had nothing but rags and a shawl to put over their heads, and seldom went out of their own poor streets. One told me she had not been outside hers for fifteen years, though she was able-bodied and well. At last I got the Vicar to fix a week-night evening, a dark one. He told me it had been tried before and no one came; he arranged a service for half an hour before a meeting in the vestry. I never shall forget his face when he came at the appointed time and found the church half-full of women and children, some of them quite big. "What are we going to do?" he said. I told him we had planned it all out. Every woman had a slip with all particulars about the child, ready to be copied into the register, and she would hand it to me. Everything went well, but it took a long time [16/17] for the Vicar and Curate to receive, baptise, and return so many, and the meeting was kept waiting for an hour. Ninety-one children were made "members of Christ," and I don't think any baptisms have ever seemed so real to me. There was a family of three children--a little girl of ten, who carried a young baby and held on to a little brother of four. As she came up to me, she said, "Deaconess, dear, mother was too drunk to come so I brought them myself." I held the baby and the boy, while she was baptised, and then she gave the other two to the Vicar. I can see her proud, happy face now. Shall I meet her in the life to come? It was indeed blessed to give those poor neglected ones into Christ's holy keeping. After that, we had a week-night for baptisms when we wanted it. The people in the poor streets always called it "a public baptism." I must tell you about one to whom the church was very dear. Granny T. was a dear soul, who loved human souls and sent me after many a one. During the years I knew her, she lost her husband and sister and was left alone for a time. We became great friends. She was always so happy at Holy Communion. I can see her dear aged face full of the peace of God as she came down from the Altar. She was very straight of speech and said just what she thought to any one. Once a year in the summer-time I used to take old ladies--nice ones--for a day out. A year came when she was getting very old and I thought her quite unfit to go, so did not ask her. The next time we met, she spoke out her mind about my having forgotten her. I told her why I had not asked her, upon which she said, "Then at least you might have passed the compliment; they asked me to go to Mrs.--'s funeral, and I should have liked the drive, but I felt I was better at home," meaning of course she would have felt the same about my drive! St. Peter's was a beautiful modern church; it stood in a yard with schools and Vicarage, closed in by a wall. The houses had been mostly built when Battersea began to grow, and were pretentious eight-roomed houses [17/18] with basements; when I got there, in most of the streets whole families lived on each floor, and one or two in the cellars, which were damp and horrible. I came across many horrors. I always remember one in particular. I was told a child was ill in a cellar. I went and asked the mother what was the matter. "Rheumatism, and I have rubbed her," was the laconic answer. I looked at the poor frail little form. She shouted, "Don't touch her, she'll holler." Poor little soul! soon my hands were going over her and finding it all out. I asked the mother if I might take her to a hospital. "Yes," was the answer. I found out she was not baptised, so off I went for the curate, a cab, a lovely pink dressing-grown, and a blanket. I did a little washing, but she was too bad for much, so she was made a "member of Christ," and then having put her into my things, I carried her up the filthy stairs into the daylight. I almost cried out as I saw her hair and skin blanched white from being in darkness so long. She was in a shocking state of neglect, but so sweet, and good, and brave, and I did all I could to help her. They operated on her at once when I took her to Guy's; she was there nine months and came home still with a wound. I used to go and dress it, the only thing provided for the dressing being a tin pail in which all the family washed. As the years went on and women came to be trained, the main thought was to fit them for their life, and it was in these parishes that our training work was done. A nice woman said to me, "Deaconess, I seed you with another new one this morning. I said, Head Deaconess's ain't a bed of roses neither; you have to take them as they come, put up with all their ways and tempers, and when you made them fit for anything, send them away." She was not far out, but I got a lot of real joy over both parts of my work. I don't mean to say that I did not have bad times, but on the whole I was absolutely happy in it. The worst part was the waiting for good women: they came so slowly. South London [18/19] became so precious to me, the people so dear, and their awful need so real. At the end of the third year the house was full, and we were looking out for a larger house, when the news came of our Bishop's translation to Winchester. His going was a great grief to me. He had upheld me during the first trying years, and had put the whole scheme on a sound foundation; his Deaconess Home was not like any of the others. I think I must write down how it all came about. When I went to see the Bishop at Selsdon, he asked me to tell him what rules other Deaconess Houses observed, and also asked what the Warden thought. I told him that he was keen that a deaconess should go into a parish exactly as a deacon did. The Bishop then asked, What did I think? I said I felt we were sending out women and not children: if our training was worth anything they ought at the end of their two years to do well, working entirely under their parish priest, to receive their own stipends, live in their own house or rooms, and order their own lives. They would only owe obedience to their Bishop and to the Vicar under him: my relation to them was to be that of an adviser to whom they could come in trouble or difficulty. He said, "I will ordain them, give them a letter of Orders and license them." I remember saying to him, "You have not given me my letter of Orders." "You shall have it when I ordain the deaconess," and so I had. I must now say how we changed our house, and tell the story, which was almost too good to be true. As we crossed the Common on Sunday afternoon, we came out at the top of Battersea Rise, near the front gate of a beautiful house called "The Sisters." For a long time we called it "Our house"; the wildest dream never put us there, but it was just a little bit of fun. One day during the hot summer of 1891, seeing a furniture van at the door, I was curious enough to ask if the people were leaving. "Gentleman dead," was the reply. A fortnight later a board appeared, "This house to let." I asked permission to go over it, and then went to our Warden, "One of the Sister houses is to let, we must get it." Then and there he came over and saw it, and agreed to write at once to the agents. We found out that a Mr. Wallis had bought it, who lived in the other Sister house. Having received no reply to our letters, a friend advised me to call on him. I was shown into a magnificent library. "Come in, come in, I know all about you." "That is so nice, because I want you to let us have the house next door." "Of course I will!" Then he went on to tell me how he knew the time on Sunday by seeing us cross the Common; wet or dry, cold or hot, it was always the same: and he set to work to find out what we did. However, though he was willing we should have the house, his lawyers were not. I went to him again saying they did not like an Institution to have it, and asked if he would take me for his tenant, giving him my banker's address. I had got Archdeacon Burney, the only member of the Council in town, to go over the house. He told me to get it, and on a seven years' lease if possible, and he would stand by me at the Council to be held in a fortnight. I had signed the lease and paid for the fixtures. Just then Bishop Thorold was taken seriously ill, and it was some weeks before he was well enough to hear about it. "But suppose the Council won't take it from you?" he said. "I will let it." "Well, I always thought you were a brave woman, and you are." I had to tell him about a very serious thing. The house had been carefully surveyed as to drains, and they were horrible; except for the honour and glory of it we might have lived on the open sewer. "Well, what are you going to do?" "Drain it; I can't offer the Council a house in that condition." He said nothing at the time, but that autumn a cheque payable to "Drains £300" came. I was only to say it was from a friend. The Council met at Bishop's House, Kennington. Bishop Thorold came up to me with a merry look, "Suppose we disown you." "Oh, but you won't," I said. Presently they called me in and were very kind. They were my tenants and they passed me a vote of thanks for getting the house. I never had any real fear, but I had offered up my undertaking, and I hope that those who live so peacefully in those dear walls will not forget to thank God for it. Now everything could be known and we could make our plans. Dear good Canon Reith, [* Canon Reith was Hon. Secretary and Treasurer for twenty years. His faithful work calls for a note of most grateful recognition.] our Treasurer, went over it with me. "Well, Deaconess, this is all very grand, but where is the money coming from?" "Don't worry about the money, God's money always comes." When I went over my bills at the ingoing, I was only fifteen pounds short of the five hundred odd pounds I wanted. A little dated bag was kept into which money for the permanent home was to go, with its text on it. We must not think that the house now is exactly like the one we went into. It was a stately mansion with acres of garden--no iron fence but a "ha-ha" [21/22] with iron chains on to white posts in front, with great stables and out-houses on the Elspeth side, and no road there; but all this was going. Five years later, Mr. Wallis passed away. He had been one of the best of kind friends. The whole property was now sold, and the buyers actually suggested that we should sell the remainder of our lease and turn out! In about two months the whole was sold again, and this time to a Mr. Shepherd Cross, a friend of my mother's. I wrote and recalled myself to his memory, and told him the Council were anxious to buy the house with a small portion of land, and were ready to give the market value for it. He wrote a most kind letter, and enclosed one hundred pounds towards the purchase fund. Very soon this dear house was ours. It was beautiful how the money came tumbling in. Though there was a small debt, it vanished, and our good Mr. Harry Lloyd paid the last two hundred and fifty pounds. Some will like to know what it cost. Legal expenses and everything included, the cost was about five thousand pounds. Now let me tell about our chapel or chapels, for we had three, each beautiful for a time, and they grew as we grew. We were very fond of our Park Hill Chapel. We had been such a happy, beautiful family there. I can say it truly there was only one thought and one spirit amongst us--God's work and Christ's message. Here four deaconesses were ordained, and it was here that Bishop Thorold gave us wonderful Quiet Days. I never knew any one who could touch souls as he did, or whose words remained so long with one. The last he gave was just before he went to Winchester. It was a beautiful and a very solemn day, but he raised our hearts beyond earth's partings to the far beyond. The last address was given in the gathering November twilight. His face was almost blotted out as in the darkness he concluded his address with these words, "Dear friends, look forward to that blissful [22/23] time when we shall meet in the golden streets: though parted now we shall meet and greet, love and serve side by side in the home of light and glory. Fare ye well, and again I say to you, Farewell." I think we were taken for a time into the unseen. The sorrow was gone and faith had come with a big great trust for the future. The chapel in the new house, 113 (it was then 87), North Side, had been the large drawing-room and could seat one hundred. There was a raised sanctuary at the east end and the walls were painted red and all the woodwork. It took us a long time to stain all the floors, it was rather like staining a field, but we were a good number and the polishing was great fun. On November 19, 1891, the house was opened and the chapel dedicated by Dr. Randall Davidson, who was then our Bishop, and had already become our dear friend and true Father in God. When he arrived, he said, "The house was pompous, the chapel beautiful." We had such a gathering, there were many clergy, and every corner of the chapel was full. No one was ordained in this chapel, for our next ordination was in Southwark Cathedral, on St. Matthias' Day, 1892, when five were ordained. I should like now to explain why I gave the third chapel. The great house was proving too small for us. In 1894 my dear mother passed away, and some money came to me, which I felt I should like to use as a thank-offering for my work and God's great mercy to me. In the spring of the following year our Bishop had been ill, and his first drive out was to see me. He and Mrs. Davidson and I sat in the garden and we talked of building the chapel. Not long after I saw my brother [*Deaconess Gilmore resembled her brother William, not only in face but in certain qualities. It is said that he had a remarkable gift of concentration: with astounding rapidity he could go straight to the root of a matter. He loved the work itself, and would have nothing done hurriedly or carelessly. She once took her students over his factory at Merton, and one, now a deaconess, remembers seeing the beautiful indigo blues he was making. A man at work on hand block printing said: "Mr. Morris believes in us men using our brains and our hands: he does not want to turn us into machines." She shared his love for beautiful colour and intelligent work.] and we talked over [23/24] it all, and he said, "I will ask Philip Webb to come and see you." He had been one of my brother's great friends. He came, and enjoyed the old part of the house; he said it was built in 1750. We sat and had tea, then he said, "Tell me what you want." I said, "I want something perfectly simple, I want the green of a field and a great big silver cross." "I see," he said; "not a miniature parish church nor a cathedral." He told me I had given him a difficult job; he would think it all out and come again. Before long he came and said we had better make a good job of the side of the house, which was very bad. So the large dairy, dark scullery, staircase, and conservatory were all to go and be rebuilt. He sent me the plans, and I then offered my chapel to Bishop Talbot, who had just come. We began to build in the spring of 1896. That was a sad year for me. My dear brother, William Morris, passed away in the autumn, and there were more family losses. I had a serious attack of pneumonia, and there were other troubles; things had become difficult in many ways, but God does not allow us to live always in sunshine. The building went on all the winter--twenty thousand bricks went into the chapel and many loads of timber. About fifty men worked there all that time. The changes downstairs were very nice. Early in 1897 all was finished. We had a grand opening and the chapel was dedicated. The Bishop would have consecrated it, but I did not wish it. It was given to God, and I prayed and hoped that it might always be used for His service. I never want to see it decorated, and I hope it will be left simple with the great cross, and the names, in the panels, of those who have passed away. "There are tremendous difficulties to be faced. To my mind the greatest is the utter indifference to the things of the unseen world. It is not only that people do not know, but that they do not wish to know. This indifference sends us to our knees quicker than anything; even drink or vice seems nothing to it. 'Son of man, can these dry bones live?'" it: let us watch and pray lest we take them anything else but Him." Her passionate sympathy with the poor led her to [25/26] suppose that, if only people knew, they would all feel as she felt. But she learned in time that it is no easy matter to persuade people to take the trouble really to know. "It sometimes makes me feel almost angry," she writes, "when I think how close all the ease and comfort is. Just a quarter of an hour's drive from where I sit in Clapham, through Battersea, will take me to the richest city in the world. All this poverty is forgotten because people don't know, not because they don't care. If these poor words of mine touch one heart and induce any one to think of the hands that have filled their homes with comforts and luxuries, they will have done something; but how I wish I could make women realise what a sweet and blessed thing it is, when the call of God is heard, to go and help Him gather His sheep into the fold." "Rich people living in West London know hardly anything about what lies beyond the south bank, and the river seems almost as impassable as the Great Desert. Yet for whom do these toiling millions work? For rich London." Deaconess Gilmore was never in any doubt as to the sort of women she wanted. "As the deaconesses we have sent out are found to be a real strength to the Church, and the clergy know more the sort of women we require, I hope not to have to wait so long for them. If only the clergy would seek for them amongst their own friends and relations, there would be more hope of my getting suitable women. I want well-educated gentlewomen, with some means, if possible, to provide for their two years' training; although the want of even this small sum need not keep them back, as we have bursaries for two to be trained free. They should be between the ages of twenty-three and forty, in good health, active and energetic, desiring to serve God in good works." Herself a widow, she was able to lay stress upon the fact that "women who are 'widows indeed' make admirable deaconesses." "May I say how beautiful widowhood became when the call to consecrate it to the work of the diaconate was heard and responded to: how the years that lay behind opened out with their store of usefulness and blessing for numbers of God's children living their home life in the world, sorely needing just the help a widow could give." But of all alike, whether widows or unmarried, her requirements were that among other things they must be "well educated, full of health, good spirits, and abundant hopefulness, both for themselves and for every one else." The novelty of that particular conception of the work of a deaconess on which Deaconess Gilmore insisted, imposed upon her the necessity of frequently making explanation both to possible candidates for this ministry and to the clergy. And it is probably true that one of the most valuable features of her work for the restoration of the diaconate of women in our Church was the clear and definite view she held, and unvaryingly imparted, as to the status and functions of the parochial deaconess. "From questions constantly asked me by the clergy and others," she wrote in 1894, "I can see how absolutely the idea has taken hold of people's minds that any trained worker sent out from an institution must be under the orders of the head of that institution in her life and work. It seems to them impossible that a woman can be left free to work faithfully and obediently under her Bishop and the incumbent of the parish to which she is licensed; but this is not so with us. All that we ask of the clergy to whom deaconesses are licensed is that they should kindly remember that a deaconess is not a cast-iron machine which can work year in year out without change and rest. The amount of rest fixed as a minimum is twenty-four hours off duty each week, and not less than a month's holiday each year." In her wisdom she was accustomed to emphasise the duty of giving and taking regular times of rest. "I think if vicars knew how much the deaconesses get rested and refreshed by the twenty-four hours off duty [27/28] each week and by the gathering at the institution each month, they would be more in earnest in seeing that they got it. Those who arranged it for them felt it to be an absolute necessityThere must be time for quiet devotion, for recreation of mind and body, and certainly, faithfully used friendships are some of God's best blessings to us." It is a matter of some importance to note that, after experience of married life and of the life of the deaconess, she was convinced of the incompatibility of the two vocations in conjunction. "We believe that to us is committed a ministry which is for life, and with it we are given special help for this life of work and love. On our side it means a complete dedication of our life, body, soul and spirit. We have not gone out of the world into the cloister; we have to be in the world, though not of it. Marriage is not possible for us, for a married woman's vocation is her husband and home, and our vocation is our ministry." Ever ready to advance the cause and to enlist the right women in this service of the Church, she pleaded at many a gathering assembled to give her the opportunity she sought. "I shall be glad if Associates [*Associates are communicants, approved by the Warden and the Head Deaconess, who receive a card of Associateship signed by the Bishop, and undertake to pray for the work and welfare of the Institution and to assist and commend it as opportunity occurs.] will arrange drawing-room meetings for me, so that I may speak to people, telling them of this work and of our great South London, which seems to grow dearer to me as the years go on. Certainly one never tires of it and its people, about whom many are so hopeless. I cannot tire or lose hope, because I know so much that is dear and good about hundreds of them. I know how many of them long for something, not knowing what it is; but we know that it is God, and what we want is living agents, who will go in and out among the people and teach and live amongst them." It was as we came away from one of these meetings in 1888, when Deaconess Gilmore had spoken as one inspired, thrilling her hearers with her love, her hope, her boundless enthusiasm for the masses, and the call to live for them at any cost, that the writer's eldest brother, speaking to his sister Cecilia, said, "If I were a girl, that is the sort of thing I should take up." Three years later Cecilia found herself at the Deaconess House, having entered at first only with the idea of training for work in the Mission Field. Deaconess Katherine Beynon, Head Deaconess of Lahore, who has served for twenty-eight years in India, tells how she was called through the same instrumentality. "My first introduction to Deaconess Gilmore was in 1895 when I was the bearer of a message from Bishop Matthew, the second Bishop of Lahore, asking for a deaconess for his diocese. At his request I had begun parish-visiting at Lahore two years previously, on the lines of a Settlement, with two other ladies. Then my father wanted me to return to England, and there was no one to take my place. I remember the awe with which I entered the Deaconess House at Clapham, and how I dreaded the interview; but all my nervousness left me when I realised her interest, and when, as I pleaded our needs, she suddenly said, 'Why don't you become a deaconess yourself?' She explained that all the women she trained were bound to work in the Rochester Diocese for at least three years, and she could not spare one, but she would gladly train any who offered for work abroad if the Bishop would allow her to do so. "The idea had never entered my head, and a formidable array of difficulties came into my mind; but deeper down I was conscious that God's call had come, and so it proved. I shall never cease to be grateful for her inspiring friendship, especially during the year of my training, and I only mention the incident to draw attention to the fact of her wide and generous outlook and her courageous readiness for any enterprise for God. I was the first of several Head Deaconesses who have been prepared for work overseas [29/30] and have been allowed ever since to have their names on the roll of the Rochester and Southwark Deaconesses and to use the House as their headquarters whenever they return to England." "She was a most capable woman, abounding in zeal and devotion for her work amongst the poorest, most ignorant and miserable people in the slums of South London. She never spared herself, and certainly her love for the sick and for children won them to seek the things which are above. Few, if any, of those who worked under her, failed to be inspired by her whole-hearted devotion to our Lord and to His service. Her keen sense of fun and real enjoyment of all the experiences that came to her and to us brought plenty of life and brightness into the House. There was never anything narrow or 'goody-goody' about her, and she had boundless sympathy, except for any who seemed to her to shirk exertion of mind or body." unpunctuality; but she kept us happy and busy and well. In real illness or trouble no one could be more understanding and sympathetic. She was beloved by the Battersea women. There was one woman I remember especially, who was sore and hard because her child had died. Deaconess Gilmore helped to prepare the little body for burial, and as she put it into the coffin she restored a beloved dolly to its place in the child's arms. Somehow that act softened the poor hard heart, and the woman realised something of the meaning of love." Another, who, like Deaconess Gilmore, has given herself to the work in South London, tells of the same kindly strictness of discipline as a characteristic mark of the training to which the students were subjected. "I was providentially sent to Deaconess Isabella Gilmore in 1889. I knew nothing of deaconesses and very little of Church work. I had never taught in a Sunday school nor come in contact with organised Christian work. Deaconess Gilmore treated me characteristically. She simply said, 'Get your parents' permission to come to this house for six months: you may never become a deaconess, but the time will not be wasted.' It was the right advice, and I acted upon it. The training in the early days was Spartan. After being a fortnight in the House I felt thoroughly tired. I am an only child, and had never been under rule except at a boarding-school. Getting up every morning at 6.30 and having every hour planned was a happy but tiring experience. I decided to ask for leave to go to bed at 8 p.m. without my supper or recreation time. 'May I go to bed without my supper to-night?' 'Are you ill? 'No, but I am very tired.' 'Go and work it off then.' I withdrew, and had supper as usual. We have often laughed together over the incident, and I used to say I have been 'working it off' ever since!" Before presenting extracts which illustrate Deaconess Gilmore's views on training, it may be well to record the impressions of yet another who was claimed and trained by her for the Diaconate. "Another great feature of her training was the insistence on faithfulness in little things. A student who could not enthusiastically scrub a table until it was white was not considered fit to give an address. Perhaps she carried this rather too far, but it was a searching test to those who had come to train for Church work because they could do nothing else well." "She began her work in Battersea in the days when there were comparatively few civilising agencies at work, and won the hearts of the people by her fearlessness and devotion to duty. She would never allow herself or others under her to leave a duty undone because of its irksomeness or difficulty. The people knew they could depend upon her." "If I believe in work, I also believe more and more in a careful preparation for it. I say this to the ablest women, for it is such who make the best use of their time. It may be that some will read this who have worked, and perhaps have worked well, and that they will think it unnecessary that they should receive any training. To such I say that the call is a very solemn one; a life is to be given up to one kind of work in a definite way; and even able people require a time of preparation such as God alone can give, and which He is best able to give when the mind is set free from the conflicting claims of social life." "In my work of training women it has been beautiful to see the Christian graces of humility, patience, love, and faith growing; very wonderful to see a human soul blossom out into deeper hopes of life, for self and for others, for this world and for the world to come; to see self dropping off and the Spirit of Christ taking possession,--all the more beautiful in that it is taking place unconsciously." "Our growing needs make us feel that a time has come when the study of theology must occupy a larger portion of the training time, and I thank you most gratefully for having placed the matter in the hands of your examining [32/33] chaplains, and for giving the intellectual side of our training larger scope and thoroughness. Of course, less time must be spent in the districts, but these are difficult times, and it seems to me that we are in daily need of more instruction, and that of a very definite character, to be given to the women whom we send forth. To those who have undertaken this arduous duty I offer my grateful thanks, and trust that they feel we are helping forward true work for God amongst women in our Church." "Visitation needs love, care, insight into character, patience, wisdom, [* The following story she told of the experience of one of her deaconesses. The clergy were able to rely upon the help of a deaconess in visiting and making inquiry into any special case. One of the clergy remembers how a young well-built man came to the vestry asking milk for his wife and baby. "Why are you not at work?" At that time there was plenty to be had. "I have lots of jobs to go to if I could get my tools out of pawn." "How much are they in for?" "Three and six." "Cheaper for me to give you three and sixpence to get your tools out of pawn than to give milk for a month." " Oh, that will be all right, you shall have it back." So he gave him the money. Shortly after he met the deaconess and told her what he had done and asked if she knew the man. Shaking with laughter and placing her bag on the pavement, she inquired, "Do you know what he is?" "No." "A house breaker!"] and hopefulness. It is a slow business; perhaps six or seven visits in a morning, or in a day. I am speaking now of working in a new quarter, where your work is unknown and you are unknown. Your first business is to make friends, and this is not always easy. If you can get a foot inside the door, or better still a chair to sit down, the task becomes easier. Let your new friends talk to you; your turn will come later. Only be ready to do the right thing. Don't try to teach them too soon; let them teach you. You want to know all about them, but you cannot find it out all at once; sometimes you will have to wait long for confidence to be given. It is enough if at the first you are not repelled, and you may thank God if some loving, gentle woman's work is put into your hands to do. Once they know and trust you, you [33/34] will have no trouble to enter the door; you are certain to be wanted. "Training in club-collecting is a useful part of our work, as it is a means of knowing the districts well, and prevents much of the gossip that goes on in the streets when a visitor is seen in them. To be punctual and regular in collecting club-money is a means to an end, the end being that, while they are taught thrift, the visitor obtains a knowledge of them without their finding it out. A gentle, loving woman, going quickly from home to home, in a district where the people know and love her, has a wondrous influence for good. Her restful face, full of peace, brings happiness and comfort, while her quick, trained eye takes in the signs of sickness, sorrow, or poverty, and is not easily misled by the hideous misery of the drunkard's home. Never shrinking from the sinner, she is truly a witness for the Master who has sent her to do His work." too long to tell, but not the least of the trouble is my bitter disappointment in him. How God knocks down our heroes in this life." "A closed door does not trouble me now as it did once. I know the time will come when sickness or death will enter, and then they will be thankful to see a friend who comes to bring consolation to body and soul. Only last Sunday I was in a house which had been obstinately shut against me: sickness had come, and with its coming the rejected visitor was earnestly sought." To give a glimpse of a brighter world was always one of the aims of Deaconess Gilmore in her own ministry and in that of the women she trained. "During the beauty of last summer (1894) we used our large lawn very often, and had all sorts of people there to tea. They willingly paid so that the tea should be no serious expense to us. It was delightful to see them free for a time from their cares and troubles, and enjoying games. After tea we used to have service in the chapel, [34/35] and one man's remark after this set me thinking about many things; as he stood and looked with his eyes fixed on the cross, he said, 'Oh! you ought to be so good.' Yes; how many blessings we have; how free we are from the cares of other women, just because He sent us to care for all. May all the beauty, peace, and love that God gives us be passed on to cheer and help sad lives in tenfold measure as a sign of gratitude for His call." "A woman whose door I had passed for many months said to me, 'I am so glad you have come; we have watched you and that little one go by, and you always looked so happy, we felt that you belonged to another country.' The lives of these people are often grinding labour and patient waiting, for it is the waiting of those who have ceased to hope for anything better than to avoid going to the workhouse." It will be easily believed that she very quickly contrived to get on good terms with the simplest folk. "People say the poor are so difficult to talk to. I can't say that I see that any of my sisters in Christ find it so. Tongues go fast enough and merrily enough in cottages and mission rooms, and often in a tram. I once passed a merry hour between two fat costermonger women friends coming home from the Borough Market to Battersea, much to the amusement of the other passengers. They love to talk about anything and everything." On one occasion she was in an omnibus when a very respectable workman said to her, "What do you do?" She told him how she helped the sick and needy. Then he patted her on the knee and said, "Take that for the cause," giving her a shilling. A deaconess remembers her love for her ragged Sunday school, and how on one occasion an observant pupil suddenly cried out, "Hub, Deaconess, got some new boots! not before you wanted 'em. You was all aground last week!" them for the teaching in church on Sunday. Last Whitsuntide a woman said to me joyfully, 'Deaconess, I understood the sermon because of what you told us the other day.'" And again, six years after: "Invite them to Cottage Meetings, and there slowly and surely build them up in Church doctrine. Remember that we have to win back many who never would have left us if there had been some one to care for their souls." "I think the secret of all true work is knowledge of those for whom we work, and this takes long to get and needs much single-hearted diligence. To go visiting with your heart up in the clouds or elsewhere is useless: you had better stay away. To go, thinking that you are going to teach, will be equally useless; and even to go in order to help may come to produce a doubt in your own mind. But to go as a friend, tried and true, with a gentle touch, a word of consolation, a merry laugh and a helping hand--who can tell where your influence shall cease? And this influence is all the more powerful because the owner knows not of it; only those who watch are able to see. And what is it that they see? Often not cleverness, nor power, but something which they are quite sure is of heaven. As I write, a home comes before me, a miserable home, a dying old man upon the bed which is miserable enough, his drunken wife stands near. I see a hand gently, sweetly laid upon the coarse hard bands, and I hear gentle, loving words and yet childlike, speaking of Jesus, and of forgiveness and a Father's home; and somehow I know that the dying man repents and that it is true as he says: 'If I could live my life over again how different it should be;' and as I go out again into the filthy street I feel that still to the poor the Gospel is preached." Isabella Gilmore will ever fill a larger place in the view of Church historians in the revival of the order of deaconesses, and specially the office of the parish deaconess, than any other woman. In the training of probationers she had in view the fitting of women for the comparatively independent and [36/37] somewhat isolated position of the deaconess living and working in the parish to which she was licensed by the Bishop. This was the ideal of Bishop Thorold, the founder of the Rochester Deaconess Institution. Hence her training, while it always had the subjective side in the life of the deaconess in view, was largely directed towards the equipment of the probationer for practical ministrations to the bodily and temporal needs, as well as to the spiritual uplifting of the masses of the wage-earning classes of South London. With a heart full of love, she never allowed her love for those under her, to cause her to be tolerant of weakness on their part or to turn her aside from firmness in action toward them. Perhaps this was sometimes carried to an extreme, and some might judge of her as hard and unsympathetic. While she was a strong, she was at the same time a judicious director of those under her. After their ordination, deaconesses from their parishes could return to her as to a mother ready to offer true sympathy and wise counsel. Autocratic in outward action towards those in training, the kindly, loving feeling for each lay behind, and in private she was ever open to, and desirous of, criticism and suggestion from those who had a right to give it. In Churchmanship she took the via media, but she would sympathetically deal with and direct women of views more pronounced than her own on one side or the other. As a citizen she was a socialist of the true type. On one occasion her brother, William Morris, said to her, "I preach socialism, you practise it," and her life proves that she devoted not only her worldly possessions but her heart and service to the furtherance of the good of her neighbour rather than her own. She was a woman of a stimulating personality. Those in touch with her were much ashamed if they were self-seeking or inert. For many years she devoted much time every week, [37/38] indeed part of almost every day, to personally visiting, in company with one of the women in training under her, in the houses of the poor in Battersea. She quickly won the heart of working men and women because she so fully understood the hardness and inequalities of the lot of so many of them and the terrible conditions under which they had to pass their lives. I knew the Head Deaconess Gilmore when her time of active service was drawing to a close. I went to the Deaconess Institution for a fortnight to see a little bit what that sort of work and life was like, when I was just grown up. It made an indelible impression on my mind. The Head Deaconess was a very strong and forceful personality, and she impressed herself on the whole life and work of the house. She had the highest standard of service and it went ill with those who fell below it. Nowadays her methods would not always be acceptable. But what impressed me most was her dealing with the people she visited, her humour, her tenderness, her shrewdness, and her knowledge of human nature, and all of it irradiated by her love of Our Lord, and of her fellow-men. I remember being struck by her beautiful voice and diction in reading the prayers in chapel. "When we think of our enormous parishes, the crowded houses, the thousand and one things wanted if a parish of, say, ten thousand people is to be in any sense worked, or the people brought into contact with their clergy, we see how absolutely necessary it is that there should be other agents at work in it, who will work with and under the clergy, being eyes and ears for them, and their 'very feet of activity'; who will not be concerned to obtain any praise for themselves, but will remember always that they are a part of the body, and that 'if one member suffer all the members suffer with it'; and will work for the good of all and for the coming of the Kingdom of Christ. "From a long experience--seventeen years now--I feel sure that for the visitation of a great parish there can be no fitter instruments than quiet, well-trained women, who will go from house to house and from room to room seeking for the sick, the needy, the aged, and the little ones of the flock, so that, at least, hidden and straying souls will know that they are not forgotten and that they have a friend. "What is wanted by the clergy is not sporadic efforts, new works started to be carried on somehow when the worker is gone; not some one who will be dependent upon a head elsewhere, to whom she owes obedience and who may call her away just when she and her work are [39/40] most valued and required; but one who, being a servant, is always ready and at hand and being absolutely loyal has only one thought, to do what is asked for and seek the good of all; one who, as the years go on, is loved and trusted by the clergy and the people, who has seen the children grow up, and knows not individuals only, but families. "Here let me say one word upon the most difficult of all the material work of a parish--the difficulty of relief. A trained woman will be on her guard about pauperising, and yet will give tenderly and wisely. She remembers that the Church gives in Christ's name, and very hard-and-fast lines must be avoided, even if sometimes mistakes are made. If it is possible there should be a relief committee in each parish, and she will be a member of it and prepare the cases. "A great part of our work will be to obtain the help of other women who will work with us and under usThe men also must be got to help, and when once this help begins the corporate life will be felt and known; but we cannot do without the lady who comes to do a 'little bit of work' once or twice a week, or even perhaps only now and again; the trained worker will be thankful for her, not only for what she does but for what she is. Perhaps those who thus come hardly realise how much their very presence is a cheer and a breath from the outside world, and a very real help to her who for Christ's sake has cast in her lot with the poor and needy and who seldom hears or sees anything beyond her parish. "Our trained worker will strive to be ready 'to use up to the rind' all help that comes in her way as well as to be used herself. "If the clergy will ask to know more about the calling and office of the deaconess, we may hope that in time more women of the right sort will offer. Here let me call your attention to a book which will be a great help in understanding this matter well, viz. 'The Ministry of Deaconesses,' by the late Deaconess Cecilia Robinson, [40/41] published by Methuen & Co. (4/6). It is a book that will be read by all with pleasure and interest. "I must say a few words about the trained workers [*In 1906 she writes: "In 1901 under the help and guidance of our Warden, Archdeacon Daniell, our Council amended our Constitution and Rules: the age of a Deaconess to be set apart was raised to thirty, and women were allowed to be trained here, and afterwards become Lay Workers, licensed by the Bishop."] who are not yet deaconesses, and who perhaps may never become deaconesses. They are generally women who either are not yet ready to offer up themselves entirely or who are prevented from doing so by their friends. Of course, sometimes they are too young and are looking forward to the time with great desire when they will receive their ordination. I think in the future the well-tested trained worker is the woman who will desire to be a deaconess and whom the Church will desire to have. "Now we come to what the training ought to be. We find a two years' course of study in theology is quite the least they ought to have: Elementary Dogmatics, Church History, Prayer Book, and Holy Scriptures, with some Greek if the student can do it. There must be parish work of all kinds, enough sick nursing to make her eyes quick at seeing illness, and her hands useful and tender where needed, with a little knowledge of small surgery; in fact, being quick to know where a doctor ought to be sent for; the medical men of the district are all friendly with us, and grateful for our help and we for theirs. "Training in teaching, giving the Scripture lessons in the day school, management in Sunday schools, taking classes, mothers' meetings, knowledge of the Poor Law, the Health Acts, Sanitary Officers' work, municipal system, and so on, homes and hospitals, of the neighbourhood first and then elsewhere, and how to get people into them. "Then there is the training of the worker inside the [41/42] House of God: Altar bread and linen, sacristan's work in general, flowers and cleaning, which are often considered the special work of the deaconess; and her part in it will be to get round her the best women communicants of the parish, who will help her and learn to love their church the more by being made workers in it." Deaconess, "I am not likely to come to speak to you again; it is not likely that God will send me a second time." Then followed a sullen silence, and the Deaconess passed on to her work. Four or five years elapsed and she was visiting some industrial buildings. In response to a knock at one of the doors, she was invited to come in, and immediately recognised the woman she had previously encountered. Her surroundings suggested that a great change had come over her character and her life. "Oh, Mrs. M., do you still think as you used to think?" "No," said the woman in a subdued voice, and as she spoke she came and rested her head upon her shoulder. "Will you tell me what has caused you to change? Was it what I said to you five years ago?" "No, it was not anything you said; but day after day from the time when you spoke to me I watched you, and it was what I saw which has changed my thoughts about God." It appeared, on further inquiry, that the woman had not begun to go to any place of worship, but her whole life had none the less been transformed by the sight of a Christian life lived beside her. "It seemed to me, as I stood by that bedside, that I was back again in Galilee, where one had 'touched the hem of His garment and had been made whole.' Her spotless life, her spotless home, in the midst of foul surroundings, told me that she had perfect faith in Jesus as God, though she knew Him not as Saviour. "The history of her spiritual life was a strange one. She told me that as a little child she had gone into some church or chapel, and one had told her of Jesus who loved her, and told her to pray to Him, and she had gone on simply doing that all those long years. She never sought to go to any place of worship after, as far as I could make out, but she loved Jesus and talked to Him, and He kept her pure and undefiled." "My introduction to the late Deaconess Gilmore was for me a memorable occasion. At the time she was Head Deaconess of the Diocesan Institution, and I was organising Secretary of the Diocesan Society. I had just married, and in company with my wife was calling on the Head Deaconess, who solicited my interest in the deaconess cause. In the course of conversation I innocently remarked that I supposed the diaconate to be a kind of halfway house for women who were not prepared to go the length of dedicating themselves to a life of devotion and service, as Sisters do! All who can recall her persistent and almost passionate struggle thirty years ago to gain for the [44/45] deaconess her proper place in the estimate of church people, can easily imagine what occurred in consequence of my unfortunate remark. The Head Deaconess, rising to the full height of that dignity of mien and courage of conviction which were hers in a remarkable degree, gave me such a trouncing (metaphorically of course) as startled my young wife. 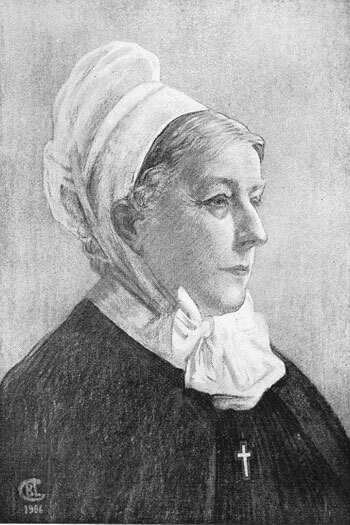 How salutary was the rebuke may be gauged by the fact that some fifteen years later, when Canon Daniell withdrew from the Wardenship of the Deaconess Institution, Head Deaconess Gilmore, who was contemplating her own retirement in the near future, asked the Bishop to appoint me as Warden: this he did. "It was thus the high privilege came to me of being in close fellowship and hearty co-operation with her during the last year of her work as Head of the Institution, and of being admitted into the confidence of one who, in all she planned and did for the cause she had at heart, served with a single eye to the glory of her divine Lord and Master, and the saving of souls for whom He laid down His life." persistently on sound foundations, and its value came to be recognised more and more by those who knew it. In course of time Bishops of other dioceses sent women to her to be trained, or looked to her to supply deaconesses for their dioceses. Thus it came about that head deaconesses were furnished to Exeter, Lahore, Lucknow, Newcastle, Winchester, Manchester; and other deaconesses are now found working in many of the home dioceses as well as in India, China, South Africa, and New Zealand. "That the principles laid down by Deaconess Gilmore are sound is borne out by the fact that these have now been incorporated in the resolutions of the Lambeth Conference and accepted by the Houses of Convocation. These principles are three in number. (1) The deaconess is an ordained servant of the Church. (2) She is ordained to a life-long ministry. (3) She is the servant of the Bishop, and must receive her authority and commission from him. It was a matter of great thankfulness that she lived to see the principles accepted for which she had quietly striven for so many years, and her satisfaction was crowned by having in her hands a Service for the Ordering of Deaconesses throughout the province of Canterbury." After a period of nearly twenty years' service, during which Deaconess Gilmore presented forty-five of her students for ordination, she resigned the office of Head Deaconess and retired to Reigate. This was in 1906, the very same year in which Mother Cecile, a pioneer of women's work in South Africa, and also a Deaconess, was called to rest. In March of that year Canon Erskine Clarke wrote to her: "You have the great and solid satisfaction of looking back on your success in putting the Deaconess system on a wise basis as an integral part of the Church's system, and inspiring it with much sober vitality." Dr. Talbot, at that time Bishop of Southwark, wrote a letter to tell the deaconesses of the resignation of their Head Deaconess, and spoke of her in it as one "who has been something between a mother and a sister to yourselves, and who has done a work of incalculable value for the Diocese and for the Church." In July the Bishop wrote to Deaconess Gilmore herself: "It seems incredible that we have worked together eleven years, a large piece of your whole service. It has been a happy fellowship. You have lifted many cares off my shoulders: kept work of manifold and precious kind moving without my help, and set me an example of a high, exacting, and devoted standard of duty. If these are not blessings to be grateful for, I don't know what are: but you have thrown in 'unconsidered trifles,' such as service to Diocesan Retreats, speeches [47/48] for Diocesan Funds, and many little hospitalities and kindnesses. Deaconess Gilmore showed a wonderful power of self-effacement after her retirement. She fully carried out the advice which she gave to those whom she trained, that after leaving a parish they should not interfere in any way with the work being carried on by their successors. At the same time she was always ready to put her experience at the service of others. Deaconess Rebecca Barker, who followed her at Southwark, found her help and sympathy invaluable, and speaks of her as "a tower of strength, advising us and sympathising with us in all our work." 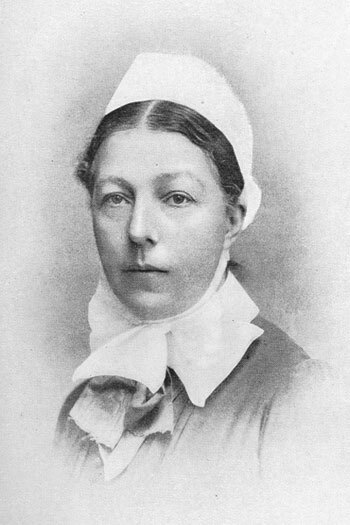 At Reigate she started Sunday classes for educated children, and she continued to speak for the Mothers' Union. A serious operation in the spring of 1908 laid her aside for many months; but she completely recovered, and there was happily no return of the trouble. "I am better and the pain is not so persistent," she wrote to Head Deaconess Mary Siddall. "I am very thankful for everything: it has taught me so much, and all the love I have had has been wonderfulIt was good to hear Dr. Dunbar [*Dr. Dunbar gave his valuable services as Medical Officer to the Deaconess House for above thirty years.] say with pride, as he looked at me, 'You have done well.'" In 1913 Deaconess Gilmore removed with her niece to Kew, where she undertook responsibility for the sacristan's work at St. Luke's Church, and was formally licensed by the Bishop. "I am so glad I can still do a small service in this parish. I never thought to do it four years ago when I came here." Thus she wrote in 1919. Her last appearance in public was on November 20, 1920, at a performance of "A Pageant of Consecrated Women," in St. Mark's Hall, Battersea: in the closing scene she appeared seated in the midst of a group of Battersea children. She wrote afterwards to the writer of the Pageant, Deaconess Beatrice Morrell; [48/49] "It was all so reverent and quiet: there was a sense of prayer-life very near." A year later, in August, 1921, she came to the conclusion that "a time has come when I feel that 1 must resign my work here. I am in my eightieth year and my health is very shaky. I know my work in this place has been very little, but I feel as though the little is often more than I can do." Shortly afterwards she and her nieces settled at Parkstone, in Dorset. "As I watched her grow old, her humility and simplicity seemed to grow with the old age, as did her thoughtfulness for others." So writes her niece, Miss Ada Morris, [*The writer is indebted to Miss Morris, not only for what here follows, but also for other details without which this memoir would have been far less complete.] who was with her through all the strenuous years at Clapham and had been nursed by her through several long illnesses. Now in her turn she devoted herself as a daughter to tend and nurse her aunt, and to repay some of that love which had been so generously bestowed upon her own relatives and friends. Deaconess Gilmore's only surviving sister has said, "I don't know what I could have done without her; she was so good to me." A younger niece, writing as one of eight children of whom their aunt took charge when they were left alone two years after she became a widow, tells of her great affection and care for them all, and alludes to the joy that ran through all her vigorous and unselfish life. "She was always intensely quick to the end of her days in her loving help and sympathy for sick, distressed, lonely, or needy persons. Yet what severity and sternness when real hard work had to be done." A very old friend speaks of her kindness and sympathy as unexampled and of her strong faith and many prayers. She seemed to her unlike other women--an autocrat to the finger-tips, but a very nice autocrat. She was struck with her knowledge and love of flowers, and with her beautiful needlework. She also spoke of [49/50] her large gifts to the Deaconess work, and said she was "born generous." "What a blessed work and service God has given you to accomplish," so wrote Bishop Talbot to her in January, 1923: "and now the discipline of activity, springing out of the discipline of bereavement, has passed quietly on into the discipline of surrender and patience, so serenely borne. It has been an example and help to us." In a letter to the writer (July, 1922), she says: "I am so grateful that the Archbishop spoke so kindly about patience" (in an address given in Lambeth Chapel at the Annual Conference of Deaconesses)--"a patience which has been to myself anyway a matter of over thirty years; in those early days we thought things would move more quickly, I can see it is better as it is." At the end of October she was taken ill with bronchitis and heart trouble, and did not come downstairs [50/51] again. Months of weakness followed. "During her long illness she seemed quite happy, and only a fortnight before her passing she read the Times with evident pleasure. She was made very happy by the news that the Order of Deaconesses had been formally established in the Church of England, and told her doctor about it with great satisfaction." She was full of thankfulness for anything that was done for her, and would constantly say that God had been very good to her. At her request the twenty-third Psalm was read to her the last thing every night. During the last week she was in a semi-conscious state. She had asked for the Holy Communion the week before, but when her Vicar came on Monday she seemed to be unconscious. He prayed with her. "I thought," writes her niece, " that she had heard nothing, for she had never opened her eyes; but she took my hand and said, 'Thanks be to Thee, O God,' and then relapsed into a comatose state." She passed away on March 15, 1923, in her eighty-first year. She was buried beside her husband on March 21st. The funeral service took place at St. Michael's, Lyme Regis, the church in which she had heard the call. A Memorial Service had been held the day before in Lambeth Parish Church, when the Archbishop of Canterbury gave an address. The Bishop of Southwark, Dr. Garbett, was present, and the Warden, Dr. Hardman, took part in the service. "Some day," the Archbishop said, "those who know best will be able to trace much of the origin and root of the revival of the Deaconess Order to the life, work, example, and words of Isabella Gilmore. For this let us give thanks." We meet for a very simple Service. In prayer and thanksgiving to Almighty God we pay tribute to a remarkable life, a life now gone to rest and reward, and, as I delight to think, to yet larger opportunities of service. Isabella Gilmore occupies now and will occupy hereafter an important place in the records of our Church life in England; larger, I suspect, in the Church of the future than we were accustomed to estimate when talking to her or thinking of her. Many knew her as an official chief and as their teacher and guide in the deepest sense as well as in the practical affairs of human history and service. She was, I think, a singularly wise and tactful counsellor in complex matters, and these were not infrequent in regard to Deaconess life some twenty years ago. In addition to all this she had a power of motherhood of a very real sort. It was impossible to know her intimately without learning to respect her more and more. She worked in the closest intimacy with three successive Bishops. They were men certainly not identical either in thought or in manner of life. I can say with assured knowledge that each of the three found in her a trusted counsellor and an attached friend. That meant a great deal to this Diocese of South London in which we now stand. Now, who was this woman to whom these gifts were given? Brought up in surroundings unlike many English homes of her day, she learnt to take wide views of human life and interest. These were always vivid and forcible, though I do not think it would be true to say that she was ever in closest touch with the pre-Raphaelite art or poetry which found expression in the "Earthly Paradise"; or with the particular form of democratic spirit which marked [53/54] those home surroundings and which took immortal shape in the works of her brother, William Morris, whom she loved, trusted, and admired, though always ready with friendly criticism. That experience is responsible for the wide background which underlay and supported her buoyant faith, the great broad evangelical spirit which possessed her, inspiring and infecting those around her; these drew their force and character from the breadth which lay behind her earliest days. I always felt that in her teaching that background had its place to a quite remarkable degree. One constantly felt that human life meant many more things to her than it means too many religious teachers of the conventional type. It is noteworthy, I think, that that same thought about the meaning of life reappeared in what was said and written by her pupil and friend, Cecilia Robinson. Deaconess Cecilia's clarity of vision and simplicity of faith corresponded with her thoughtfulness of outlook. In the case of Deaconess Gilmore it was the army of the poor which called forth the full feelings of her large heart, and I think this is in part attributable to the unconscious influence of her early days among what were then regarded as socialistic surroundings. We note throughout her story the greatness of her influence over the unlikely people with whom she came into touch. They did not easily pass out of range of what she unintentionally did or said; unintentionally, for no one was more self-effacing in her personal life, more desirous of doing simply the right thing and doing the right thing simply. In guidance, in teaching, in counsel with bishops, she was always the same. Noteworthy was her laying down of her position as Head Deaconess and quietly taking humbler work. Her love for the poor had a sacredness which does not always accompany that love. It can be traced, I think, to her constant personal communion with our Lord from her early life onward to its close. It is a remarkable thing, an interesting thing, that she should have had the opportunity of doing what she did. She was one of a group of strangely different women who had the high trust of leading in the revival in Deaconess life, which is growing bit by bit and which is going to be so much more in the life of the future. To her is due much of the ground won back, step by step, in the garden of the Lord; and the Deaconess body and order will give no small place in their records to what she was able to do, through her leadership and personal energy, sane, hopeful, real in intensity of devotion to our Lord. She possessed the power of patience, so necessary in the revival of this particular branch of Church life, for patience is needed above all things, if the tree is to have its full fruition, and the position of the Deaconess to take its rightful place in the life of the Church. Some day those who know best will be able to trace much of the origin and roots of that revival to the life, work, example, and words of Isabella Gilmore. For this let us give thanks: I feel sure it is most meet and right so to do. PRINTED IN GREAT BRITAIN BY WILLIAM CLOWES AND SONS, LIMITED, LONDON AND BECCLES.